While I was at my local drugstore waiting for the prescriptions, I checked out the local beauty section and found this Essie shade in the clearance section for "$0.50" and a few other clearance goodies!! 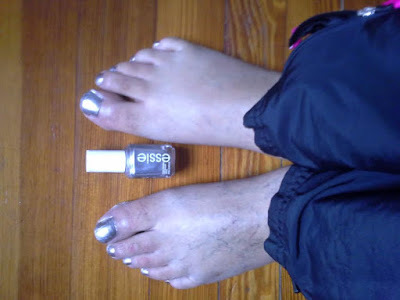 Normally, I am a gold or copper metallic polish shades but I figure to give this silver polish shade a try!! I honestly love this particular shade on my hands and feet and compliments my skin tone as well!! Plus, you can wear this shade all year round or use it in various nail designs which is what I plan to do!! That's a really great find for 50 cents! It will look really nice during the Winter holidays for "glam" looks. Thank you, Lisa! 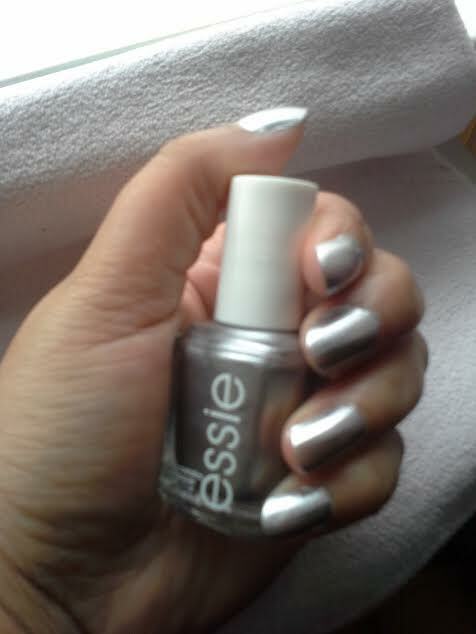 I love this silver polish and can't wait to do more nail designs!